Explanation: Acquiring its first sunlit views of far northern Saturn in late 2012, the Cassini spacecraft's wide-angle camera recorded this stunning, false-color image of the ringed planet's north pole. The composite of near-infrared image data results in red hues for low clouds and green for high ones, giving the Saturnian cloudscape a vivid appearance. 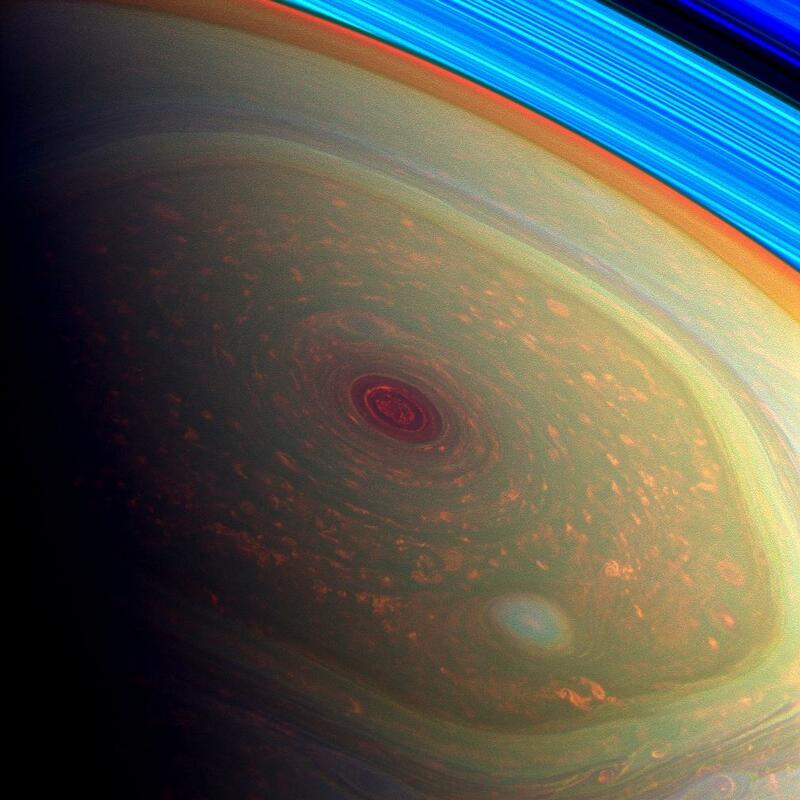 Enormous by terrestrial standards, Saturn's north polar hurricane-like storm is deep, red, and about 2,000 kilometers wide. Clouds at its outer edge travel at over 500 kilometers per hour. Other atmospheric vortices also swirl inside the large, yellowish green, six-sided jet stream known as the hexagon. Beyond the cloud tops at the upper right, arcs of the planet's eye-catching rings appear bright blue.